. 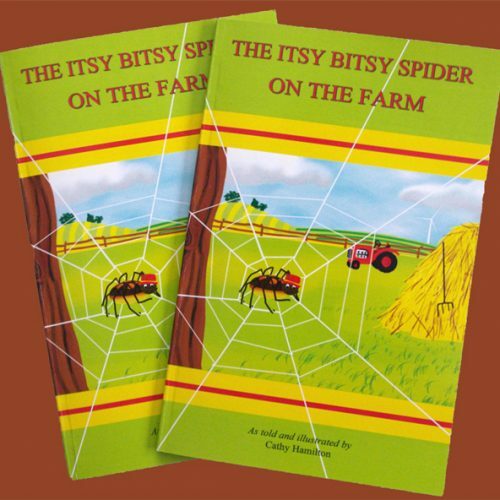 . . where books come to life! That bounced her little boat. Held tight to stay afloat! Ms. Itsy web-floated a little too far this time and found herself on the farm of a grumpy old man. 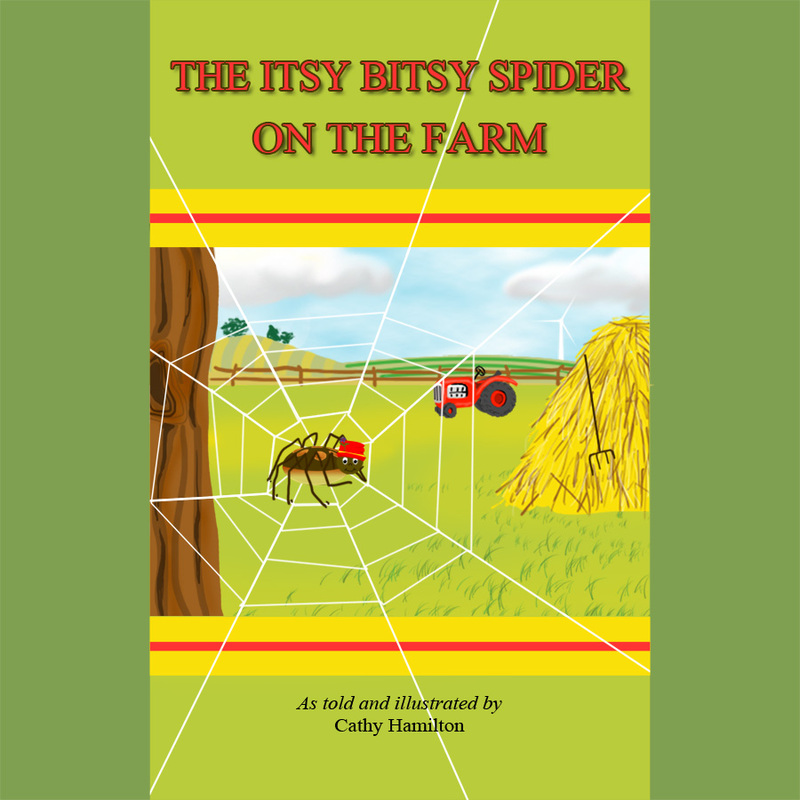 Of course, this rhyming tale begins as expected, but after the sun came out and dried up all the rain, she encountered the friendly and not-so-friendly creatures of the farm. 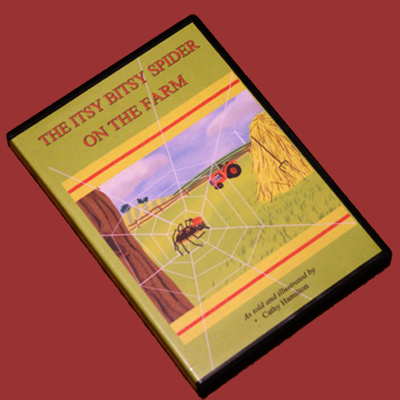 Although your child will find plenty of action in the story, The Itsy Bitsy Spider On The Farm animated adventure is invaluable as a bedtime tool. 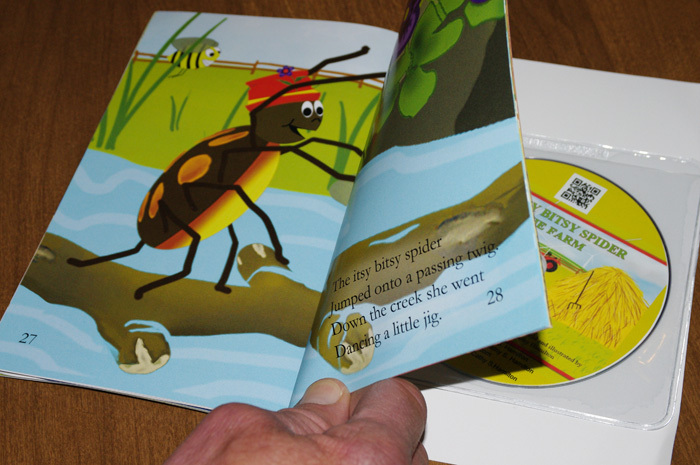 A few chuckle busters have been purposely drawn in the story, specifically for Mom and Dad, but finding them requires close scrutiny of a particular page. your child will love it!